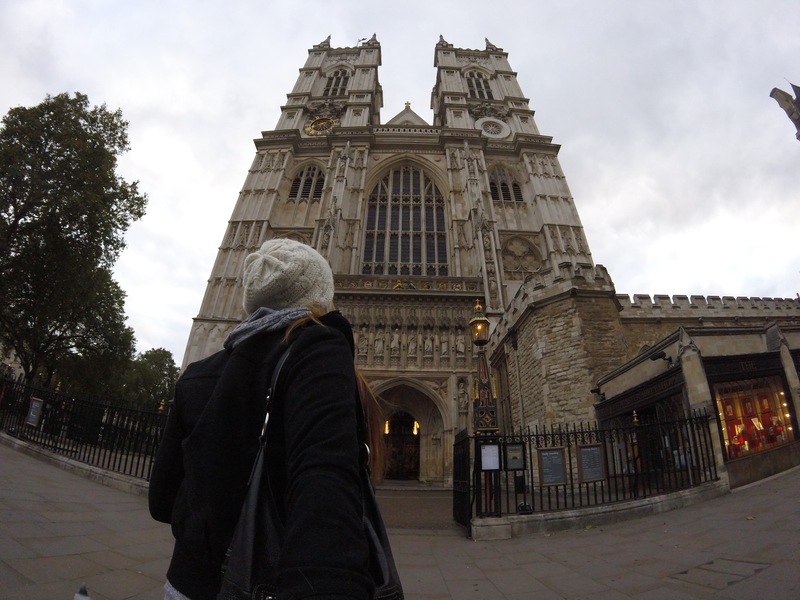 My first full day in London!! I was so excited (and jet lagged) that I had fallen asleep at 7 the night before and was wide awake at 1:30am. Not the best way to start my day but what are you going to do? I did a little at home workout, planned out where I was going for the day, and headed out by 6:30. The Tube or Underground in London is fantastic because there are so many lines and there’s always a station within 5-10 minutes walking distance from where you are. I’m staying in Hampstead, and I went to Finchley Station to catch the Jubliee line down to Westminster. On the way I grabbed a smoothie and some crackers from the grocery store for breakfast. 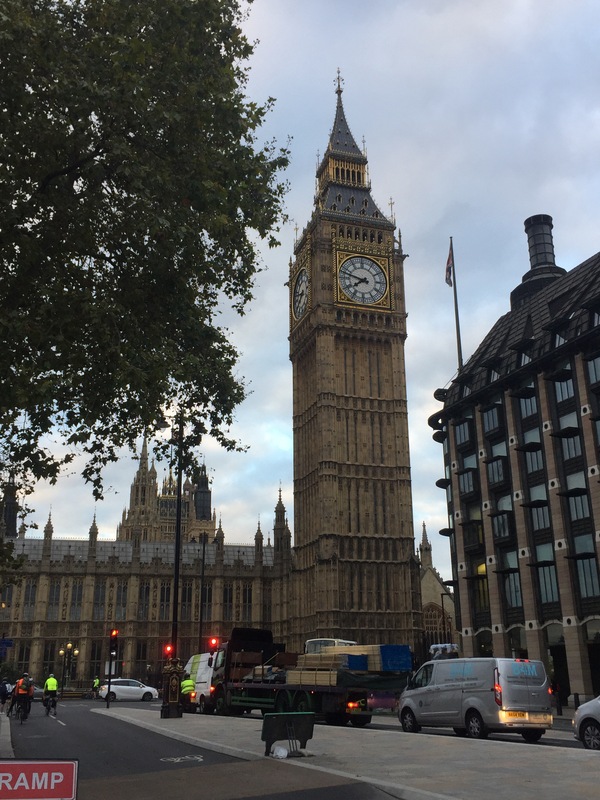 I got to the Westminster station by 7:15, and you walked right out in front of the Houses of Parliament and Big Ben. Big Ben is massive and very impressive close up. 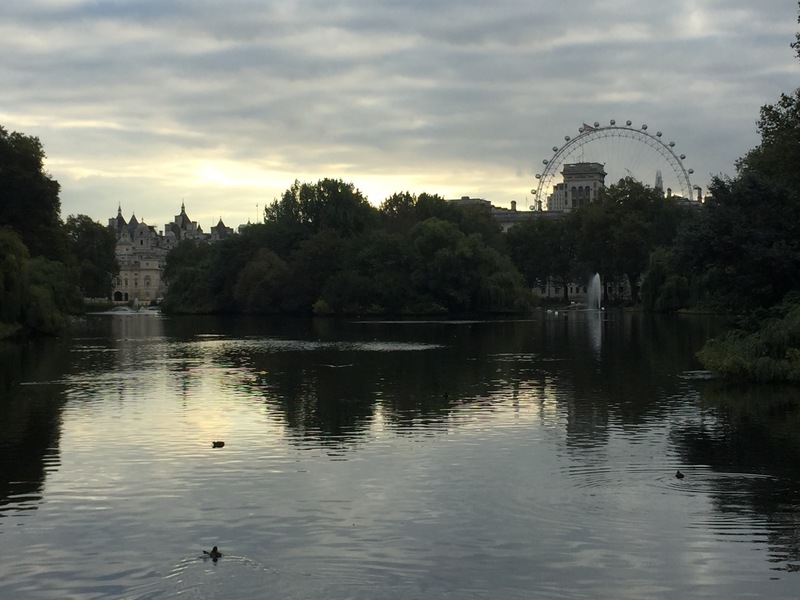 I walked along the Thames for a bit to get a closer look at the London Eye, the giant ferries wheel on the other side, and to get some other angles of the Houses of Parliament. It was a little chilly that morning, but not as windy as the day I arrived, so that was good. 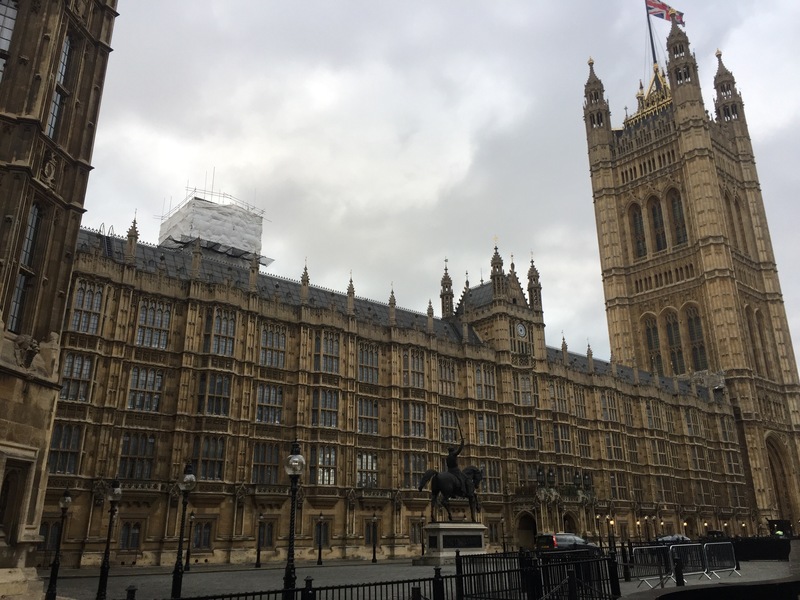 I walked back down the Thames to Big Ben, and crossed around to the front of Parliament and towards Westminster Abbey. 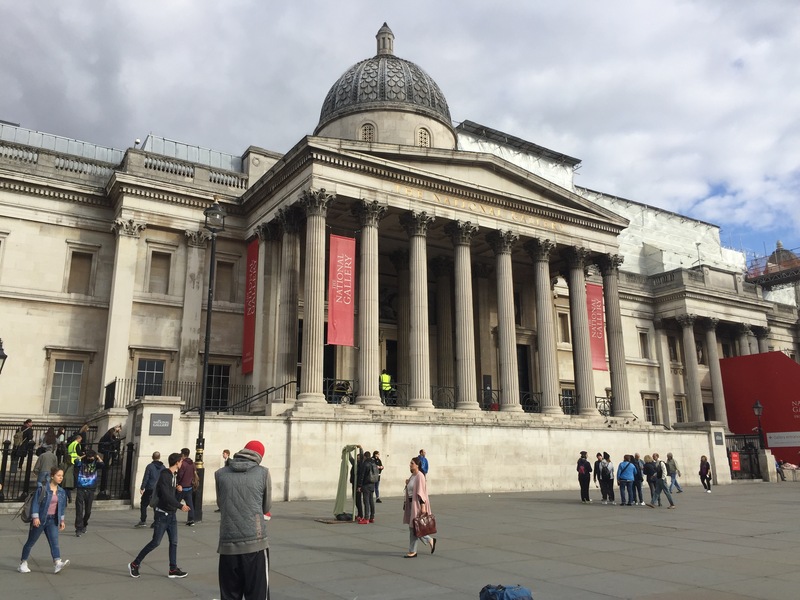 You can take guided tours of all of these places in London, but because of time constraints and how expensive tickets were, I decided to just take everything in from the outside and check out the free museums instead. 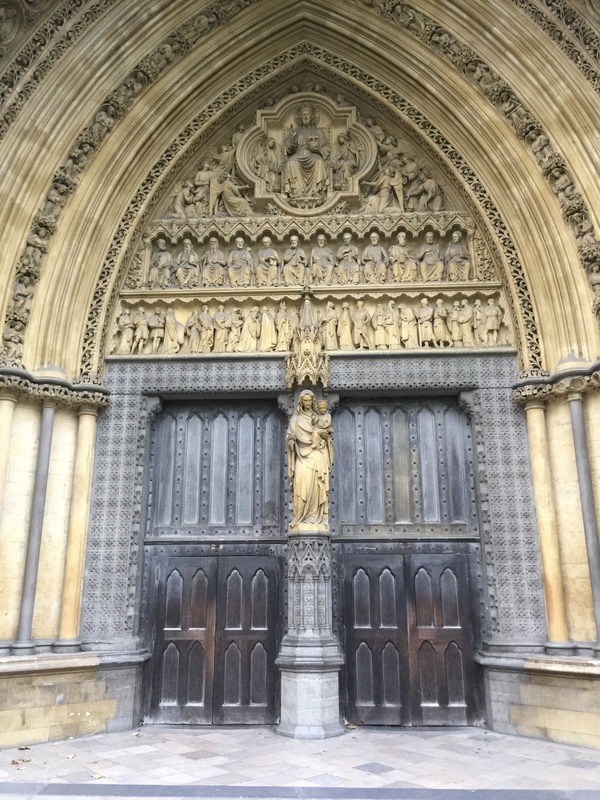 Westminster Abbey is stunning and I’m sure the stained glass windows inside are exquisite but the architecture on the outside is amazing as well. 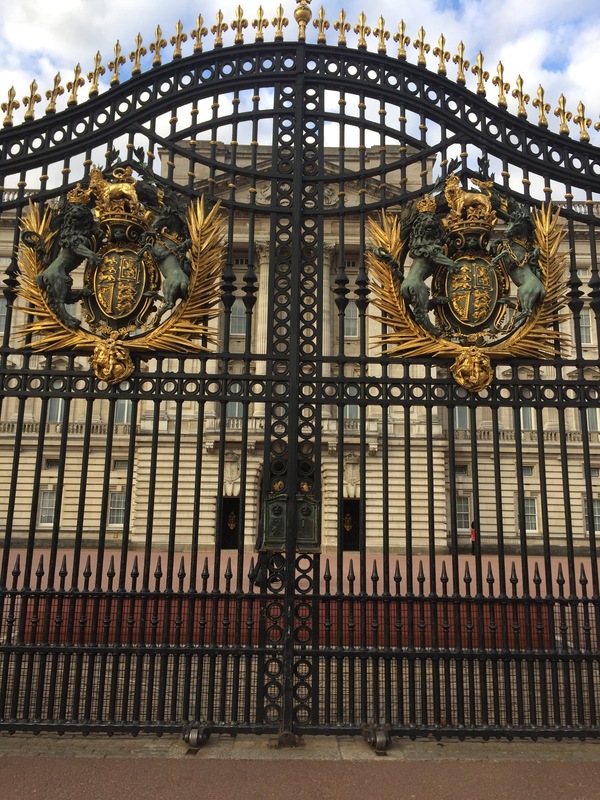 The detail on the sides and the front of the building is beautiful, and you can walk through the metal gates and get a closer look of the exterior for free. 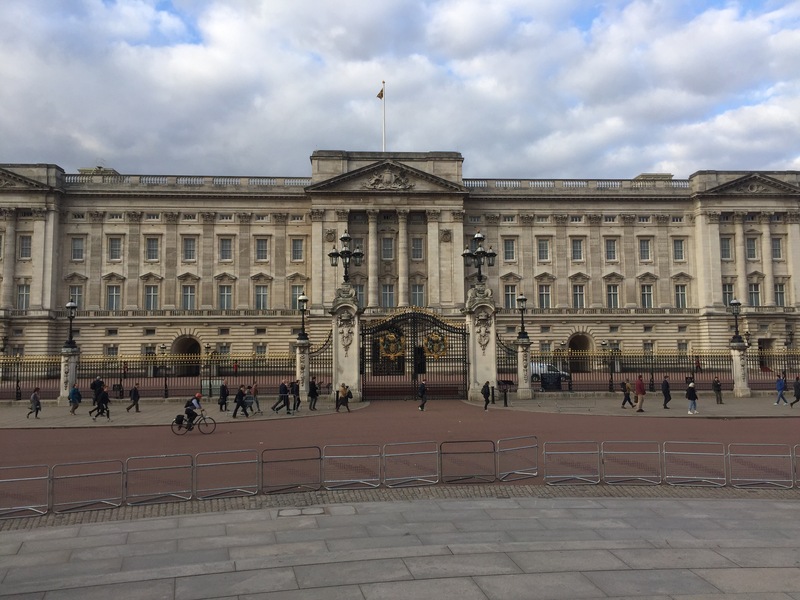 The only thing I was confused about were the lack of stairs out front- didn’t Kate Middleton walk up a set of stairs with her wedding dress trailing behind her when she got married? Maybe there’s another entrance I missed. 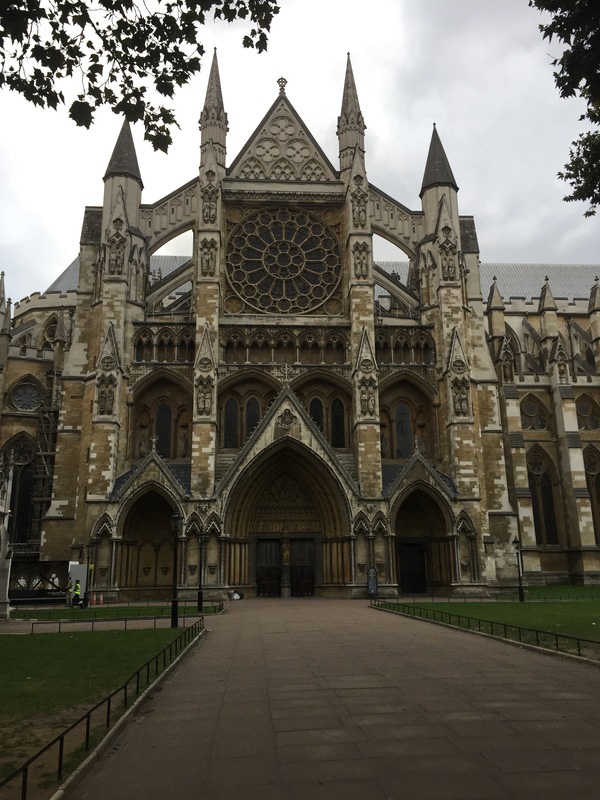 From Westminster Abbey I headed for St James Park. 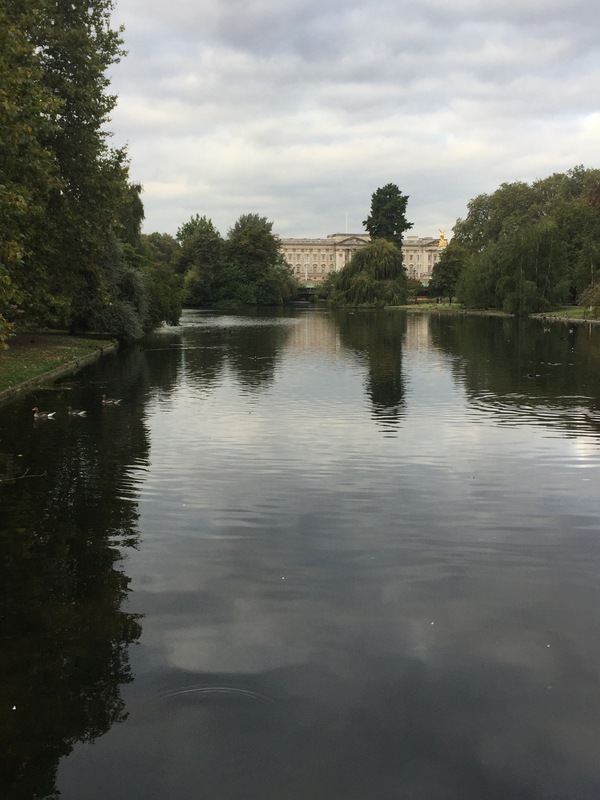 It’s a beautiful little park set in front of Buckingham Palace with several fountains and lots of birds and ducks. 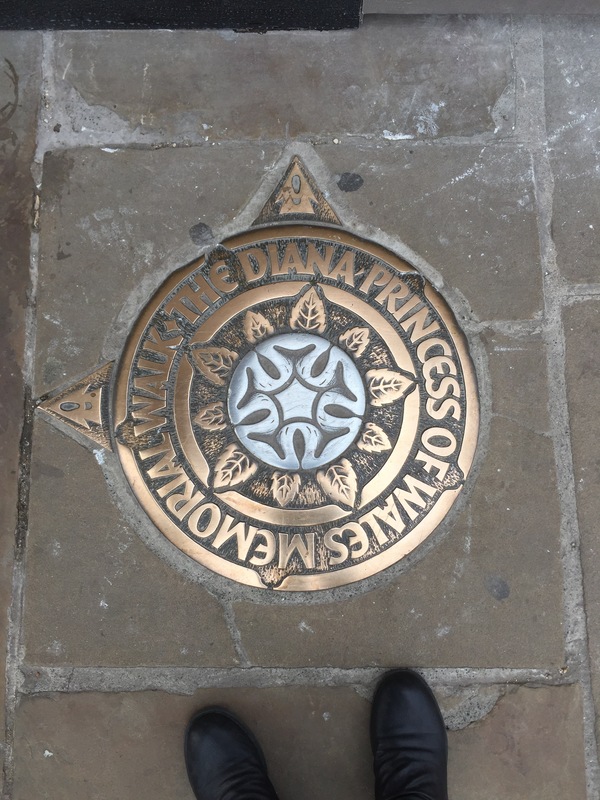 There’s actually a Princess Diana Memorial Walk around the park, which I followed towards the Palace. The lucky thing about my being up so early was that all of the spots I went to sight-see weren’t overrun with tourists yet. I had a lot of space to hang out and take photos, plus not a lot of people were in my shots. 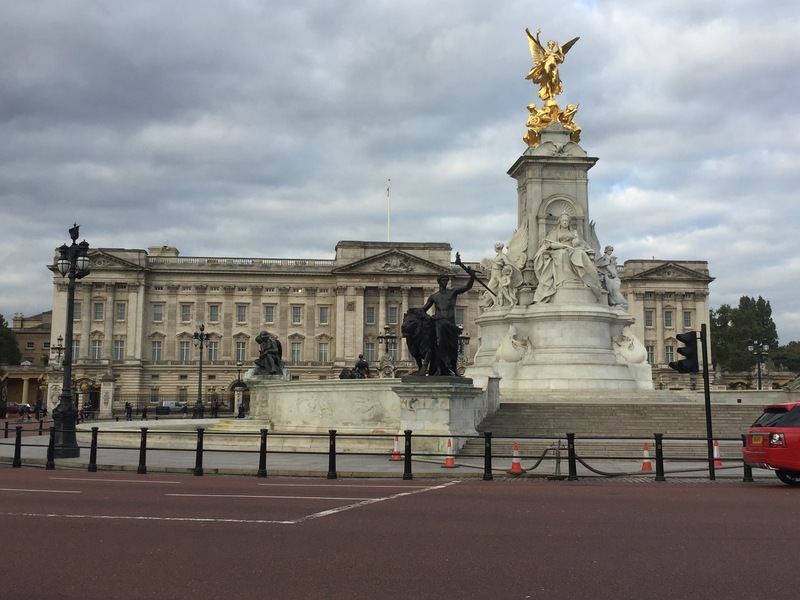 Buckingham Palace was huge, and the changing of the guard was scheduled for that day, but not for another 3 hours so I skipped that. 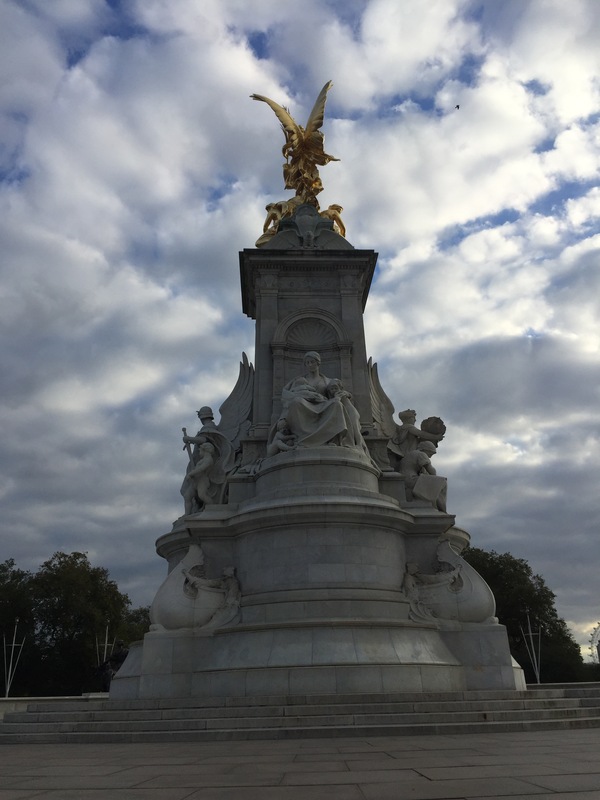 I relaxed for a bit at the statue right in front of the Palace, the started walking along the north end of St James Park to Piccadilly Circus. 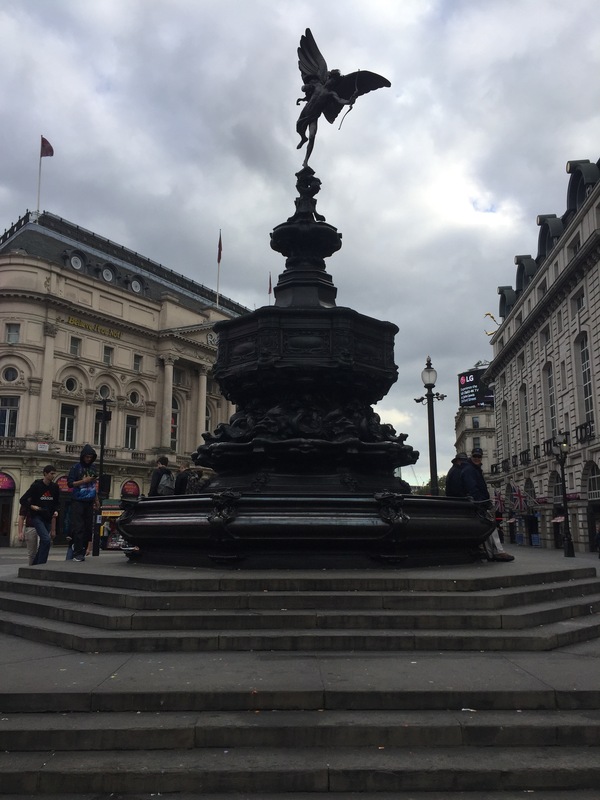 Piccadilly Circus is known for being a very busy, touristy square, and people compare it to Times Square in New York. 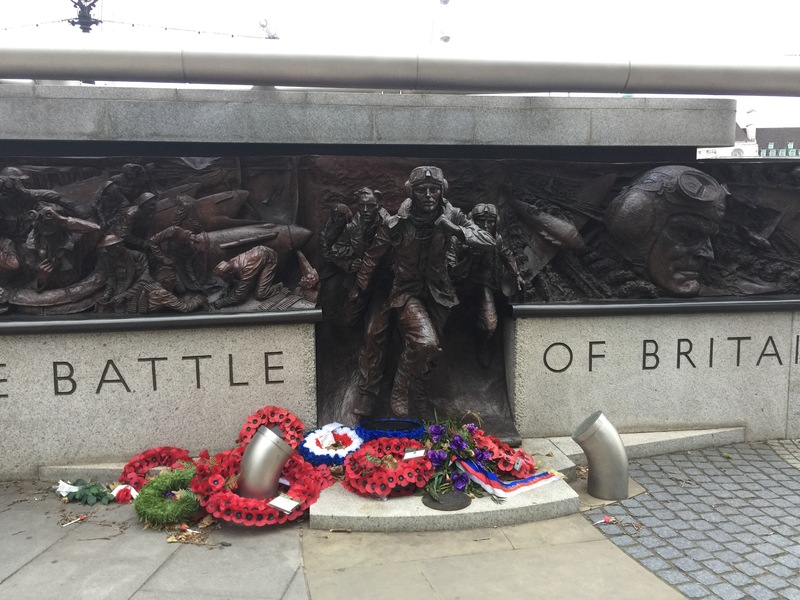 I wasn’t very impressed- there was only one large tv/advertising screen and the statue wasn’t amazing. The only upside was that a lot of the souvineer shops were in the square so I picked up my requisite shot glass!! 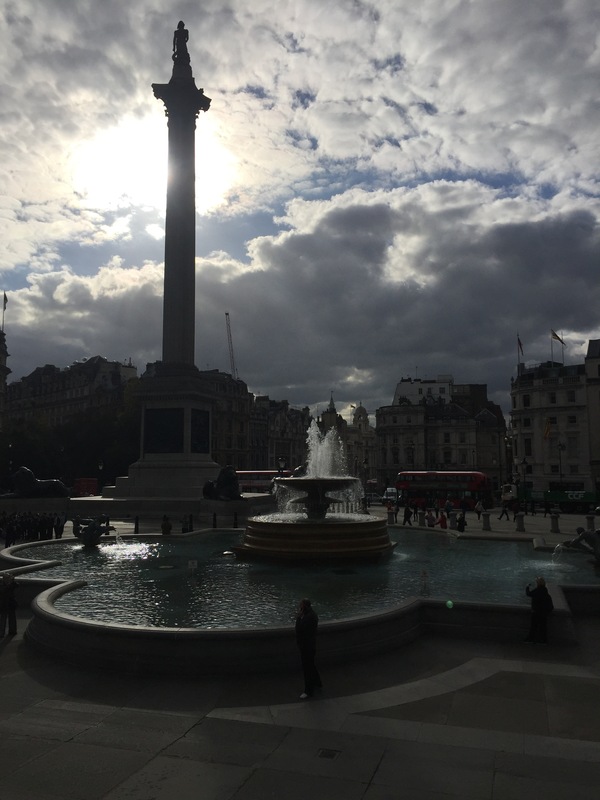 I left Piccadilly and headed down to Trafalgar Square, where the National Galley is located. Trafalgar was much prettier and more impressive than Piccadilly, and you can look straight down the street for a view of Big Ben. 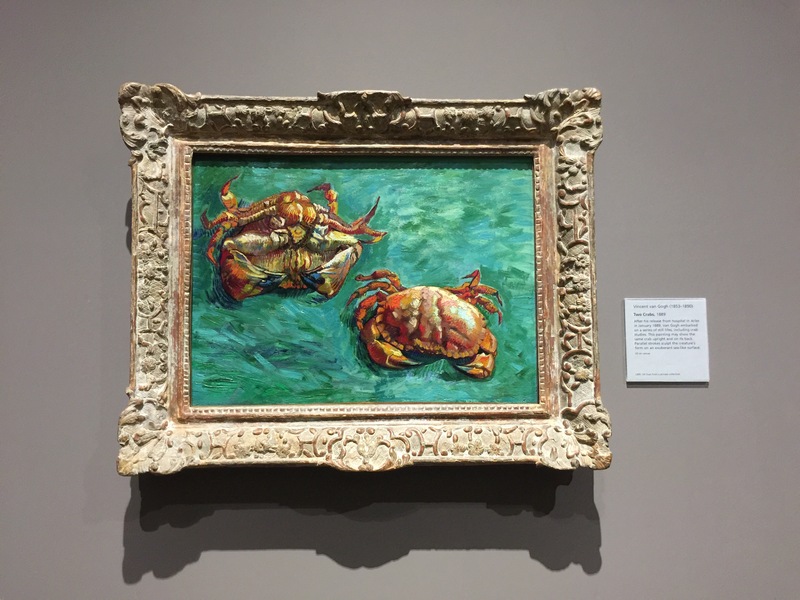 I went into the National Gallery, which is free, and saw some beautiful paintings in their collection by Monet, Degas, and Canaletto. 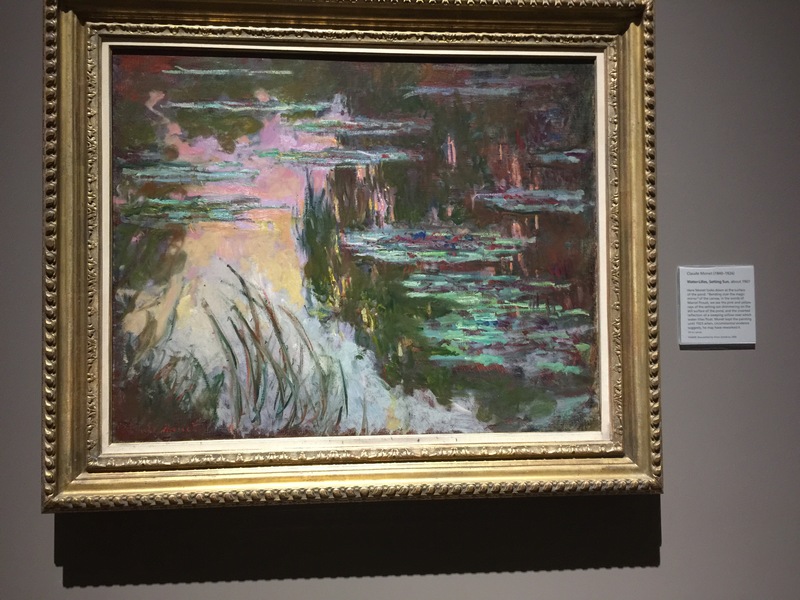 I intend of seeing Monet’s “Waterlilys” in Paris if I can, I absolutely love his work. After a very full morning, I took the Tube back to my flat for a nap before heading downtown for Harry Potter and the Cursed Child that night. Blog post on that one coming soon!!! 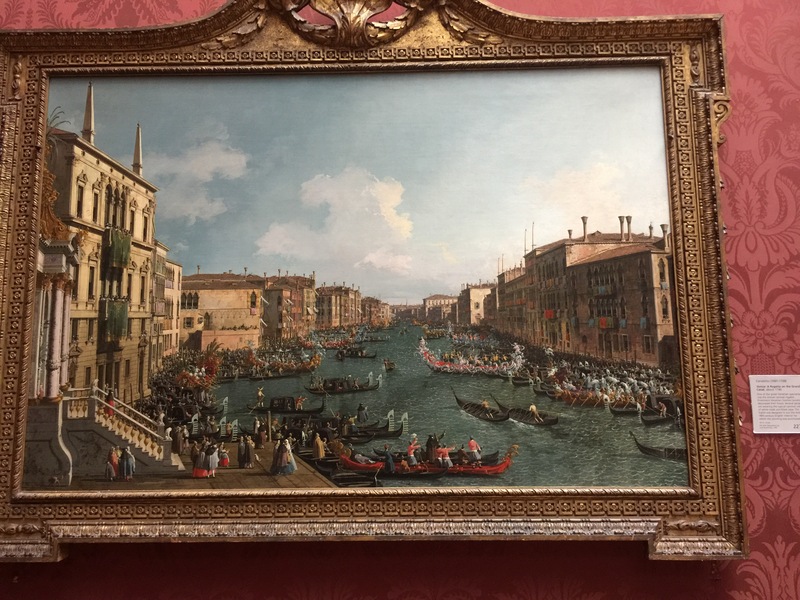 Rachel, great photos of some sensational historic spots. 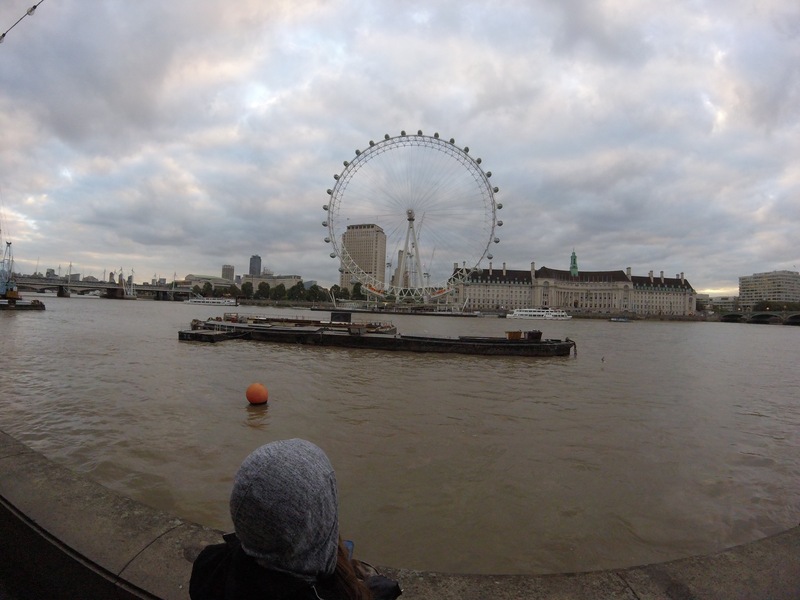 London is a great city. You should try to get inside one of the castles–AMAZING BEAUTY.